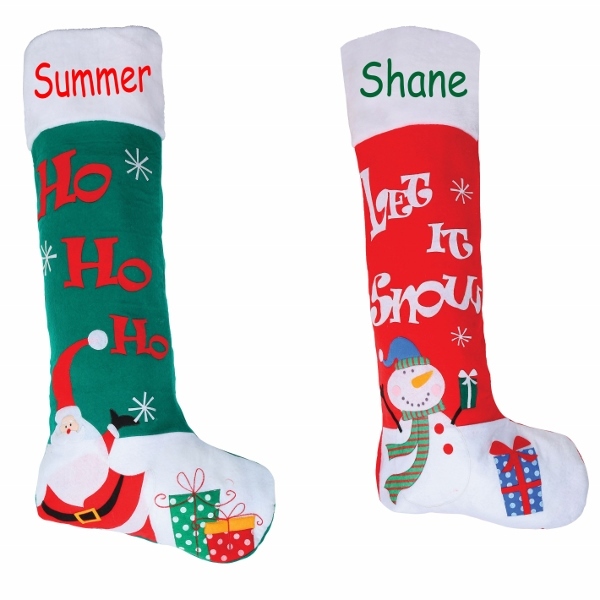 These amazing Christmas stockings come in 2 designs, a snowman and Santa. They measure a massive 99cm in length! Personalise by adding your name along the top of the stocking on the white section.